Many Australians are starting to look abroad for their cosmetic surgery procedures, as the lure of low costs prove too much to ignore, but what are you really getting for your money? 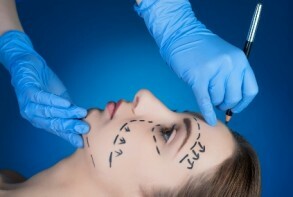 Let’s look through what you need to consider when taking your cosmetic surgery overseas. The main allure of wanting to go overseas is cost. Due to the lower cost of living and education, South-east Asia has proven very popular. The same procedure can be half the price in Thailand, and from experts of a high quality. Of course, there are horror stories of dodgy practices overseas, but these can exist in Australia, too. Be mindful that the cheaper option, might be more expensive long term. When you opt to have your surgery in Australia, it is much easier to find a surgeon you can trust. Certifications differ from country to country – board certification in Australia might be a lot tougher to get and be much more reputable than those in another country. Recommendations, both professional and personal, and prior experience can mean you find a doctor you know and can trust to do the job right. This means you can be confident in your decision and relaxed going into the procedure. Finding a good surgeon in a country you don’t live in can be problematic, and you might find yourself out of pocket if you don’t like the surgeon, or worse, find someone who isn’t particularly good. Feedback from third party sites can be misleading, as there can be a lack of quality reviews and the sources may be unreliable. If things go badly, don’t expect the doctor to fly to Australia for you – if you need to see them again, expect to be paying for more flights and trips to fix things, if you’re lucky enough that it’s actually reversible. Built in with the trust factor is accountability. If your surgeon lives in the same city, you can call on him if you have any problems weeks or even months after the procedure. Doctors recommend at least 18 months until you can be sure that there won’t be any further complications. If you’re surgeon lives in another continent, their priority might just be to get you out the door as soon as possible. Extra consultations for your peace of mind are not usually included, and will add to your medical bills. Take the risk at your own peril. At the end of the day, you go with what you can afford. The cheaper option may not end up being the cheaper option if things go wrong. If going Australian is out of your budget, but you don’t want to risk going overseas to get the job done, speak to a professional at EasyPlan to make sure you can get it done in Australia.